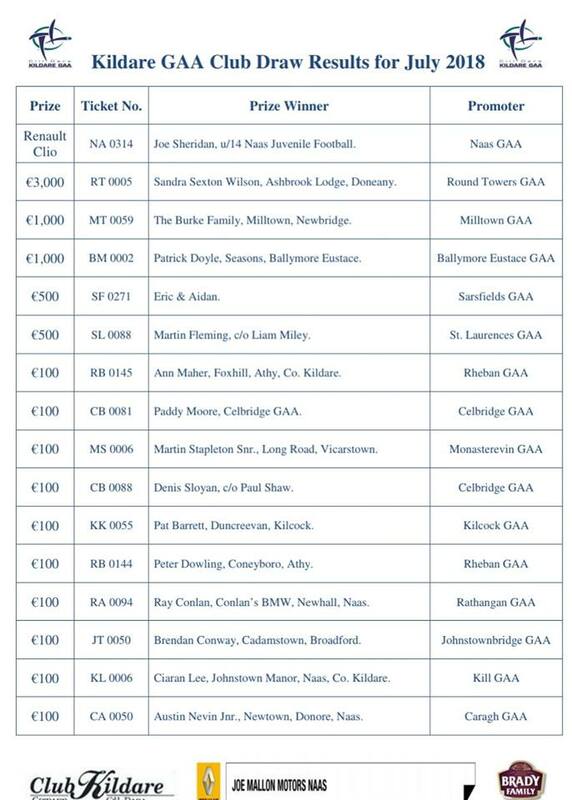 The third Club & County Draw took place in Joe Mallon Motors on Friday 27th July. Congratulations to all of this month’s prize winners. The next draw takes place on Friday 31st August.